A Feast of Music in Ruthin! A FEAST OF MUSIC is a special concert organised by Canolfan Gerdd William Mathias which will be held at Theatr John Ambrose, Ruthin on the 3rd of February 2018 at 7:30pm. The concert will celebrate the fact that the Music Centre has started to provide tuition in Ruthin as part of the charities effort to expand its provision in North East Wales. The Music Centre, whose primary location is situated at Galeri Caernarfon, has been providing music tuition at Theatr Twm o’r Nant Dinbych for several years and is proud to be expanding its provision to Ruthin. The concert will include performances from the Music Centre’s tutors, as well as present and past students who have gone on to study at music colleges and local youth choir Côr Cytgan Clwyd. Amongst the artists performing in the concert will be Rhys Meirion, Elinor Bennett, Ann Atkinson, Alfred Barker, Glian Llwyd, Teleri Siân, Morwen Blythin, Dylan Cernyw and Kate Griffiths. 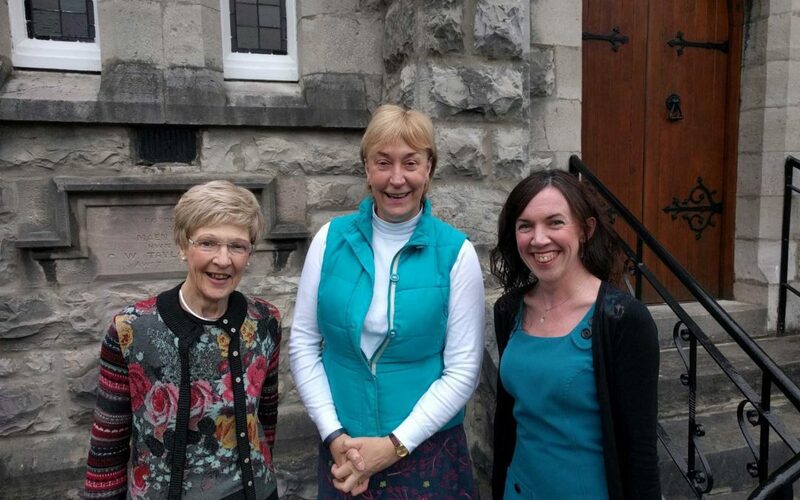 Three of Ann’s past students will be taking part in the concert – Tesni Jones and Lisa Davies who have gone on to study the voice in the Royal Northern College of Music and Steffan Davies who now studies Music and Welsh at Bangor University. “We have started by offering piano, singing, violin and theory lessons in Ruthin for children and adults, but we intend to expand the provision to include lessons on a variety of other instruments so it’s important that people contact us to express their interest. We will also continue to develop our provision of group activities during the next months. The Camau Cerdd (Steps in Music) project – music groups for young children has been held in Denbigh in partnership with Menter Iaith Sir Ddinbych and Denbighshire Arts Service for several years. A group for children aged between 6 months and 3 years old is held at 1:45pm at the Hwb in Denbigh and a group for children between 4 – 7 years old at Theatr Twm o’r Nant after school on Mondays. Tickets for the concert ‘A Feast of Music’ to be held at Theatr John Ambrose on the 3rd of February at 7:30pm are now available from Siop Elfair, Ruthin and from Siop Clwyd, Denbigh. The ticket prices are £7, £6 (pensioners), £3 (children).